Replacing a broken car part can be a real drag if you don’t know which bolt goes with which nut. With thousands of different part variants, editions and models, it’s almost impossible to make a decision without asking that one friend who likes to poke around his car’s engine all the time. What if you don’t have such friend or you need to find a replacement part quickly? Well, in those situations you can always count on the guys and gals from AutoAccessoriesGarage.com to give you some advice over chat. See how amazing chat customer service can translate into great sales results – nearly 5 times higher conversion rates and 4 times bigger orders. AutoAccessoriesGarage, or AAG for short, is a family-owned automotive parts company with over 30 years of experience in delivering outstanding customer service. The company stands out of the huge crowd of automotive parts retailers by delivering excellent service to its customers. 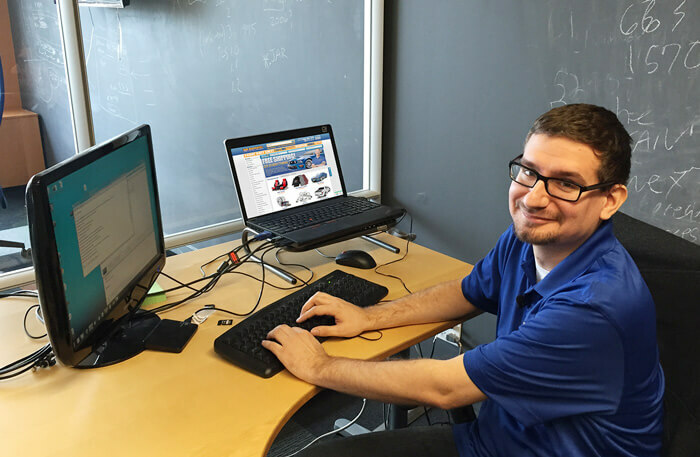 “With countless options to purchase automotive parts over the internet, AAG distinguishes itself by providing a world-class shopping experience, with the goal of providing the best customer support in the industry,” said Kyle Therriault, VP of Internet Strategy & Business Development at AAG. To deliver on that promise, the company is available “7 days a week via phone, live chat, and email, helping our customers in their buying decisions, and open orders issues,” said Kyle. AAG started using live chat to offer help for customers who didn’t know if the part they’ve picked was the correct one or those who simply didn’t know what kind of part they need. What’s more, many customers prefer to make an order during the work day so “providing an alternate, or less invasive means of communication makes sense,” Kyle noted. AAG installed LiveChat on their site to offer an alternative to phone communication for their clients. Quickly, this alternative started pushing out phone as the main contact point with customers. “Initially, our goal was to decrease the percentage of inbound phone calls to our call center while retaining or even improving the total number of customer interactions,” said Kyle. “We were able to realize and surpass these goals within the first month of implementing LiveChat,” he added. AAG tested several live chat providers, including Olark and Boldchat. LiveChat was picked for its easy-to-use and simple design. “From a design and UX standpoint, LiveChat is hands down the best looking, and easiest to use chat service,” said Kyle. According to Kyle, the implementation was “a breeze.” All it took was adding a piece of code to the AAG’s website and creating a few agent accounts to get the implementation going. Currently, the company has “24 contact center employees that have active LiveChat accounts and have been trained to handle chats.” The fairly large number of agents allows AAG to extend the reach of their customer service to later hours and offer it consistently, seven days a week. “During our busiest hours of the day, we’ve found that employing 2-3 dedicated live-chat agents, handling up to 3 concurrent chats is optimal,” Kyle noted. AAG uses the relatively new staffing prediction report, which suggests the optimal number of agents needed to handle a particular chat volume, to adjust the chat staffing. “We’ve recently started weighing that against our own staffing projections to help set our contact center scheduling for each upcoming week,” said Kyle. 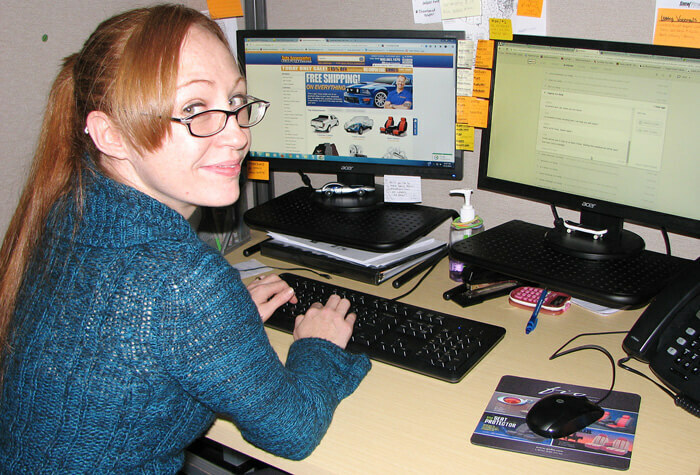 Apart from offering quick, precise and readily available advice on automotive parts, AAG utilizes LiveChat to increase their sales. According to Kyle, on of their favorite features are the custom chat invitations, which allow them to send targeted chat messages based on the product a customer is looking at. Kyle also notes that these custom invitations are of great help during promotional periods for specific products. “These invitations have a 30% higher chat interaction rate, and result in a 5% increase in conversion rate over visitors that did not interact with live chat,” Kyle noted. To see which products require some extra help, AAG measured which item pages produced the most chats using the Google Analytics integration and created custom invitations for them. “By tracking LiveChat events, we can even compare which particular products have the highest chat usage, and setup programmatic chat greetings on those pages to help the customer before they even have to look for the live chat button,” Kyle stated. AAG’s live chat is a huge success among their customers: “We’ve had many customers tell us how much they enjoy being able to chat with our product specialists opposed to having to pick up the phone, or wait several hours for an email response,” Kyle stated. Even though there were a few skeptics toward the idea of integrating a chat service into the company’s website, they were “disproved within the first day of launch,” Kyle said. According to Kyle, customers who used AAG’s live chat are almost five times more likely to make a purchase. What’s more, “their per-session value as measured in google analytics is almost 400% higher than the site average,” Kyle reports. From a customer service perspective, agents can now handle up to three chats at a time, leaving other agents available for more chats and phone calls. As much as 18 percent of all AAG’s contact points come from chat and the company plans to expand their chat use in the future. AutoAccessoriesGarage.com is a family-owned online car parts retailer with over 30 years of experience. The company focuses heavily on providing great customer experience by offering expert advice to every customer. Clutter-free communication with students and reduced number of returned phone calls. First-class LiveChat customer service for high-end customers leads to 30% more sales.